If former Soundgarden and Audioslave frontman Chris Cornell has learnt one thing from working with Timbaland, it's that he doesn't need a band behind him to make music. 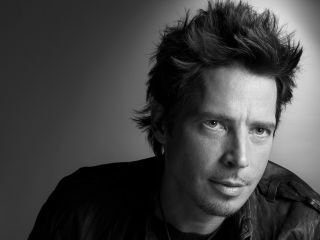 Speaking to MTV about his forthcoming solo album Scream, Cornell revealed that recording sessions were very much nocturnal. Over a six week period working with Timbaland, the pair recorded 13 songs, with sessions beginning at 1am and lasting through the night. Cornell is full of praise for the way that the über producer's input expanded his horizons: "There's so much, musically, that I haven't done. I've barely scratched the surface, and I have a lot of catching up to do. I feel like I want to fast-forward into my future of musical expression, because there are just so many different things I haven't done yet." "Timbaland's diversity - in terms of his feels, the ideas he brought in, the beats, the rhythms, the musical themes and auras of the different songs - was incredible. His focus was very much, I don't repeat myself, and I won't let you repeat yourself. "I feel like I want to fast-forward into my future of musical expression." "Being someone that writes songs mainly from an organic platform, I just really didn't know how much is possible in the musical spectrum until I met Timbaland. "What he brought in, every day, was a surprise. He would surprise me with ideas he would bring in or ideas he was working on every time. "I view [Timbaland's music] as being psychedelic music more than hip-hop, more than pop, more than beat-based music. It's atmospheric, like Pink Floyd is atmospheric - he creates a sonic world that you get lost in, and you listen to it and you start to trip out." Click here for the full interview. There is no official release date for the album yet, but you can hear the title track here.